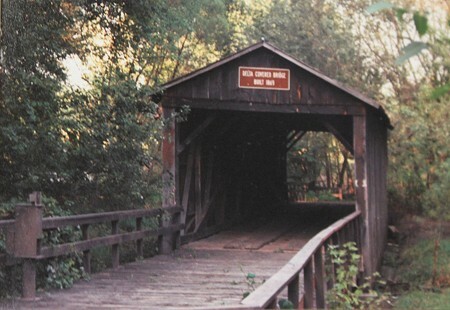 The Delta Covered Bridge was constructed in 1867 at a cost of $1,620 and was the only arch-style covered bridge west of the Mississippi River. 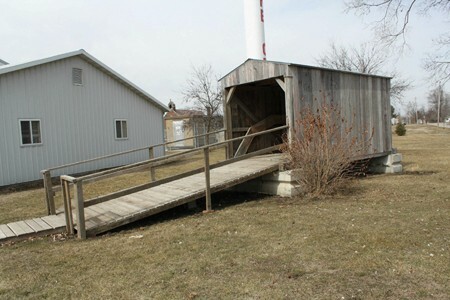 The bridge hovered over the North Skunk River south of Delta. 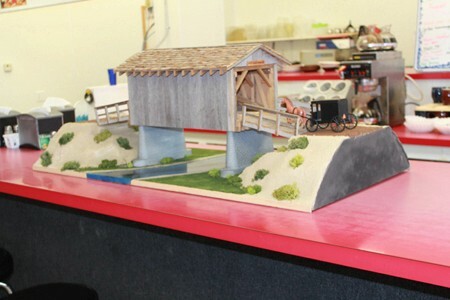 The bridge was completed in 1869 with an architectural design by Jerry Merrifield and carried traffic such as steam engines for threshing machines. The roof was covered by hand-hewned shakes and was replaced with cedar shingles. 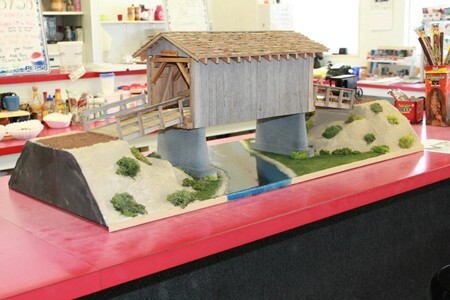 The bridge spanned 12 feet wide and 80 feet long and built of native timbers, oak and red elm, with pine framework. The beams and timbers were held with wooden pegs. 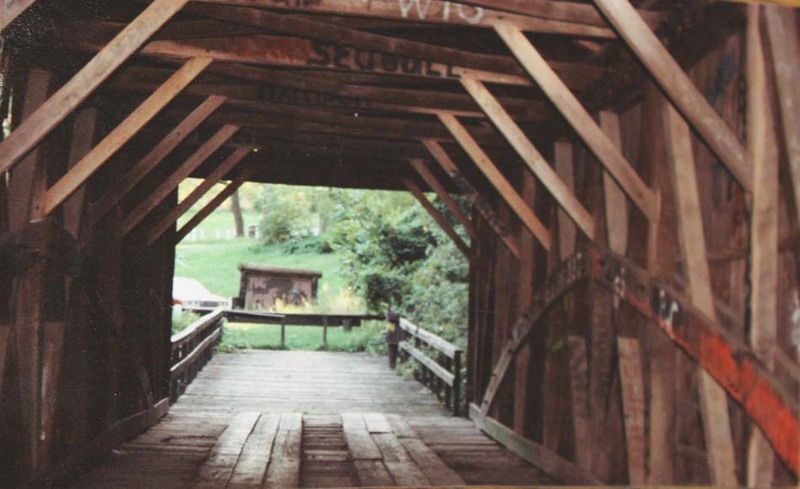 The bridge was said to be the oldest covered bridge in Iowa and to be the only bridge of the Burr Arch type of construction west of the Mississippi. 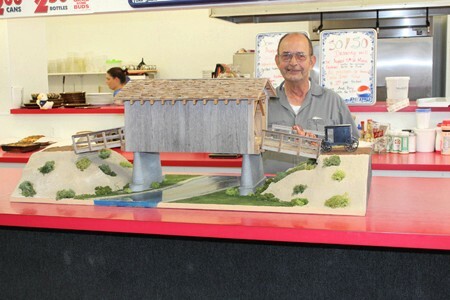 The "Pennsylvania" arch style of the bridge has made the bridge even more historic. 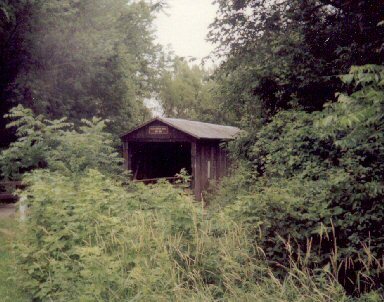 In 1955, the bridge was listed as one of 12 covered bridges in Iowa, and the only one outside of Madison and Marion counties. Travel though the bridge became difficult as holes wore through. 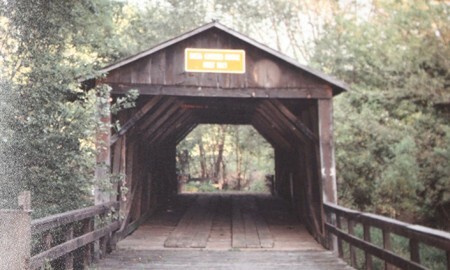 The bridge was rededicated on Oct. 21, 1956 and the Delta Lions Club and Delta Womens Club began fundraising efforts to restore the bridge. 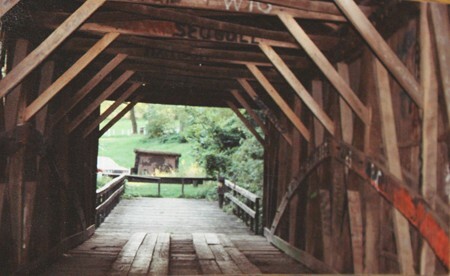 In 1959, the bridge was taken off the county road system and closed to vehicle traffic. 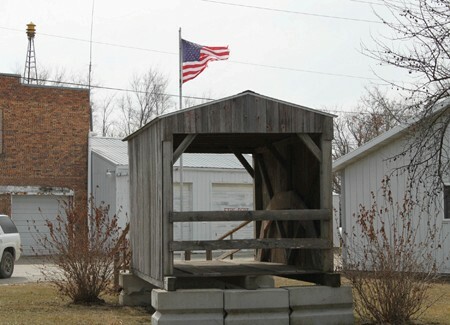 It became a park for the Keokuk County Conservation Department and remained a pedestrian bridge. As flooding became a problem, a channel was cut north in 1973 to preserve the bridge. 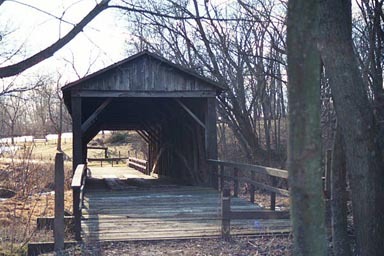 The bridge was then added to the National Register of Historic Places in 1974. 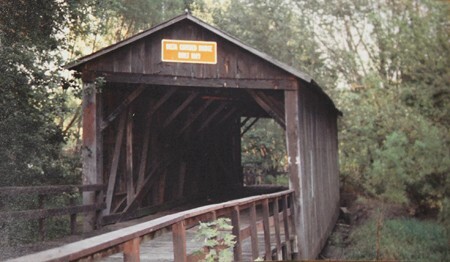 In 1982, the bridge was reconstructed largely from original materials. September 3, 2003 around 8:30 p.m. the 136 year old bridge was burned. Keokuk County Sheriff Ron George said the fire was arson and that the fire started in the middle of the bridge.